I had to go to hospital yesterday and I booked today off work in order to recover and it also gave me some time to go to my workshop and do some more work. I have cut out a couple of new snail cams for the Hand and the Turtle model. 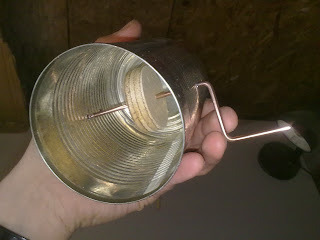 I have attached bearing blocks and will fit screws inside in order to attach them to the shafts. (Incidentally, my hardwood dowel shafts arrived which will have much better torque strength than softwood). I have cut the new cams out of plywood rather than the MDF board I was using, as it was too thin. 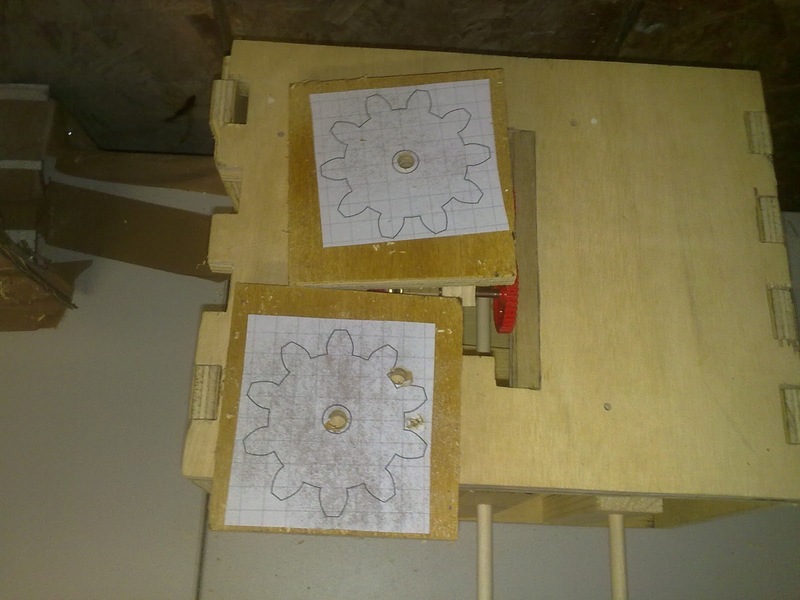 I'm sure that nearly all automata makers are aware of this website and how useful it is. The online version is great but there is another version which has a lot more features. Unfortunately, I am a poor boy who cannot afford such things as yet. When I can afford it I will get a copy but I hope it has an option to input the diameter of the gear and then apply the pitch, as this is easier for me. These gears will be used to turn both of the shafts. If this doesn't work I might investigate the use of a belt drive, but I don't see why it shouldn't. I started to drill in between the teeth in order to start cutting out but the glue had not yet dried so I will wait. There is a guy next door to my workshop who has a band saw who said I was welcome to borrow it. This will saw me some time. 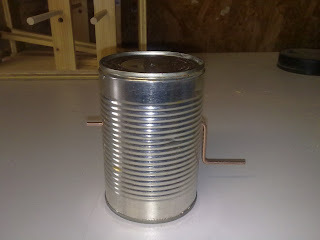 I also started working on the tin can model. It's going to be of a chicken pecking away. It's going to be a very simple model with not too much going on. 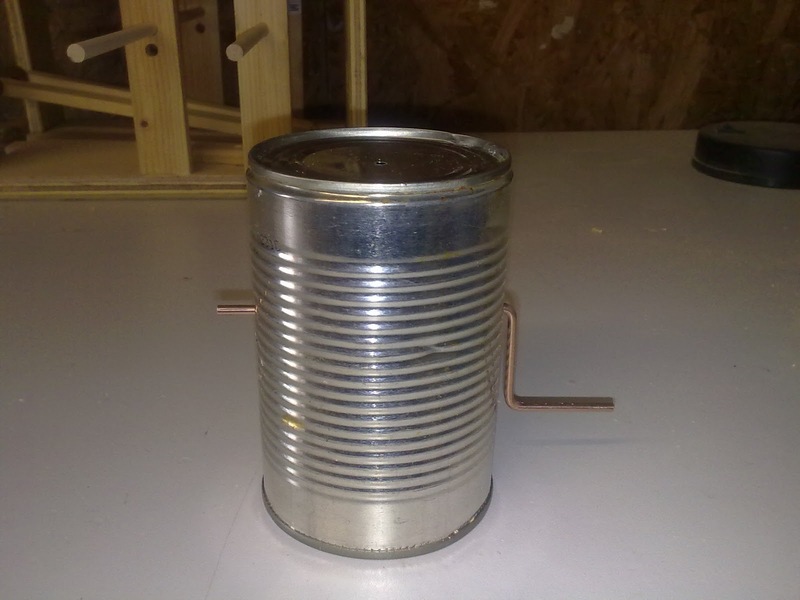 I have to figure out a suitable mechanism and then shape the cam to get the desired effect. Then I have to make the chicken. I have also decided to enter the automata competition. This is being organised by Sergio Pinese who runs www.crankahead.com. I think he has got together with Keith Newstead and others to get this competition off the ground. As said before, I am not allowed to show any pictures of the model and it doesn't need to be completed until the end of January 2011! I have had an idea for a model for a long time and I made a mock up of the mechanism to see if it would work (in principle) and it seems OK. now all I have to do is put it together. I want to try and incorporate a lot of detail into this model. I'm not sure if I'm going to do the Dracula model. I have too much stuff to do and not enough time. My problem is that I get bored very easily so if I don't start something quickly then it is likely that it'll never happen. Another one for the ideas bin.